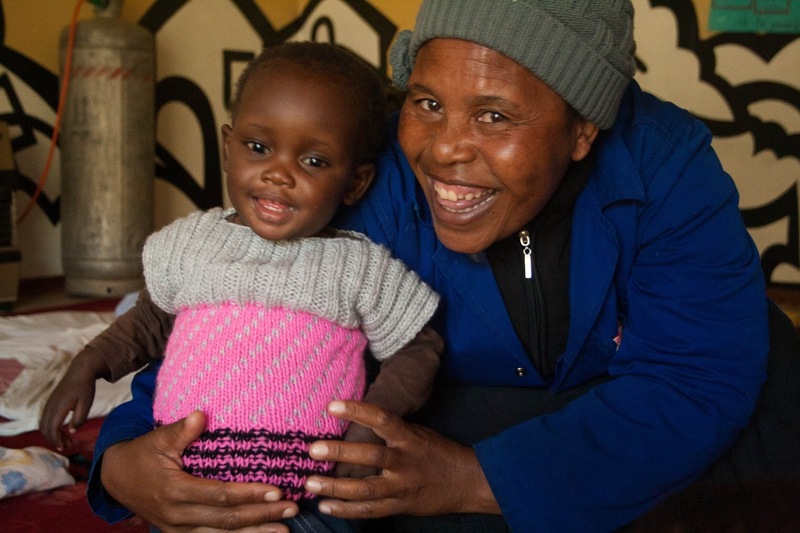 Touching Tiny Lives in Lesotho: There's no stopping her.. This beautiful girl went home to her aunt two weeks ago. 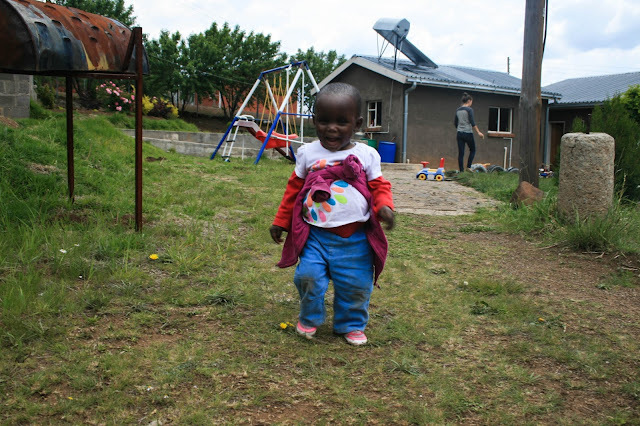 The first time I saw Reitumetse I was sitting in an overcrowded wing of the Mokhotlong Hospital, trying to keep another new safe-home arrival comforted and amused while we endured the endless wait. One of our Outreach workers made her way through the crowd, followed by another women and a small toddler. There was some general shuffling and babies shifted to quickly free up space on one of the prized benches. It was clear to everybody nearby that this mother was too sick and weak to stand while waiting. Unfortunately, she would pass away a few days later. Reitumetse spent the next four months in the safe-home, putting on some weight, starting ARVs, and regaining her fiery spirit that was hidden during those first days at TTL. She quickly became the biggest personality in the safe-home. Incredibly bright and fearless of consequences, she was always getting into as much trouble as she could find. Meal times became a battle. 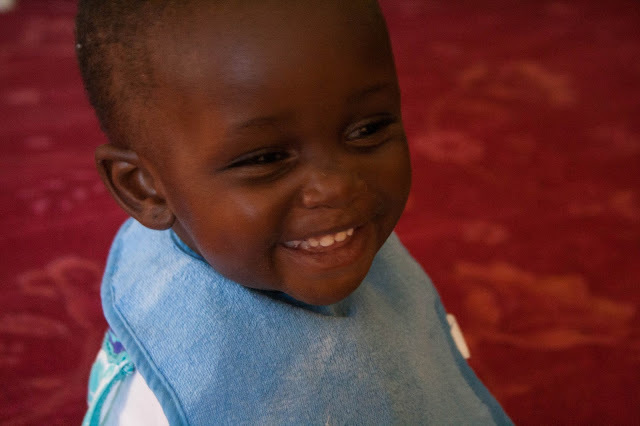 Not because she didn't want to eat - something that many safe-home babies struggle with during their recovery from malnutrition. No, her problem was that she wanted to do it all herself. But she still hadn't quite mastered getting a spoonful of food into her mouth and would quickly become bored with the process, wanting to move on to more exciting things. And while she endlessly tried the patience of the loving safe-home bo'me, her infectious smile could win them over in a second. 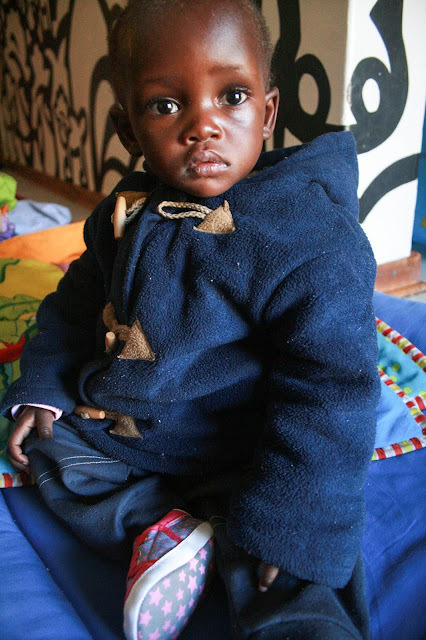 Reitumetse will face many challenges in her life - she already has and she isn't even two. But somehow I am sure her fierce independence and charm will always manage to get her through. This little girl is definitely going places and its so exciting to think about what her future will have in store.